What’s next for Legion? Recently, executive producer Noah Hawley spoke with Deadline about the future of the FX series. Based on the Marvel Comics character, the drama follows David Haller (Dan Stevens), a troubled young man who may be more than human. The cast also includes Aubrey Plaza, Bill Irwin, Jeremie Harris, Amber Midthunder, Katie Aselton, and Jean Smart. Season one just finished on March 29th. You know, my goal is always that the first season would be about fighting the enemy within and, you know, learning about this entity that was inside of David and about getting it out of David, and Season 2 will be about then the enemy without and this entity now we know is a person. And what about David’s father, Professor X? Will Patrick Stewart show up in season two? I don’t know about Season 2 but I know that there’s that story will need to be addressed at some point in the future. It’s not something that I want to shy away from, but I also want to make sure that when it’s time to tell that story, we can really tell it and not dance around it. Well, some of that is a little more logistically complicated just in terms of would we try to use either Patrick Stewart or James McAvoy. Would they be interested in doing the show? Would 20th Century Fox? 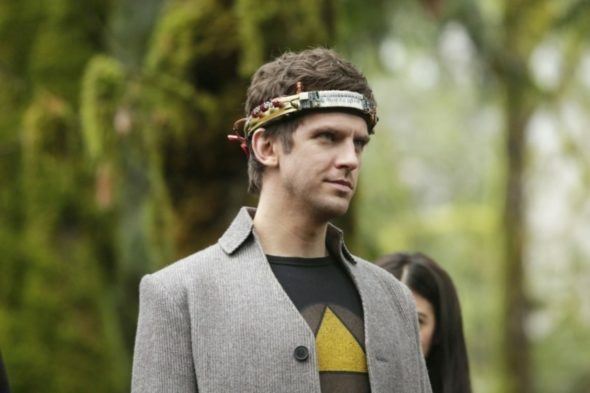 FX has already renewed Legion for a second season. What do you think? Are you fan of Legion? Are you excited for season two? Excellent news, this show is one of our favorites; truly filled with production marvels and plot surprises, along with wonderful performances, thank you!